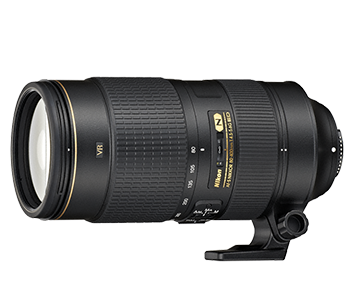 The AF-S NIKKOR 80-400mm f/4.5-5.6G ED VR 5x telephoto lens offers awe-inspiring clarity and speed ideal for shooting landscapes, wild birds and sporting events. You’ll enjoy extreme sharpness and reduced glare with its combination of Nano Crystal Coat, super ED glass and ED glass elements. 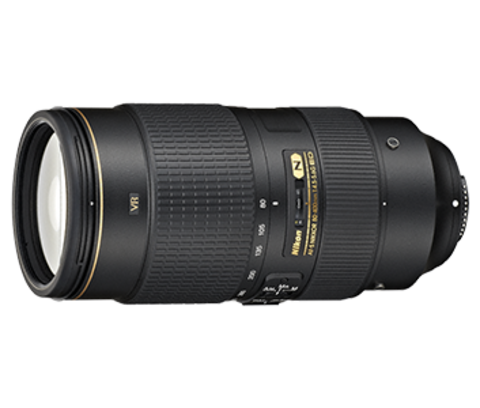 A Silent Wave Motor (SWM) ensures fast and silent autofocus even when using a 1.4x telephoto converter. 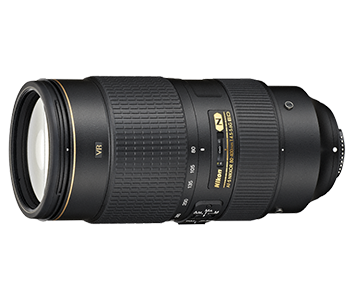 For enhanced sharpness, its VR (Vibration Reduction) minimises shake with a shutter speed equivalent to 4.0 stops faster*. 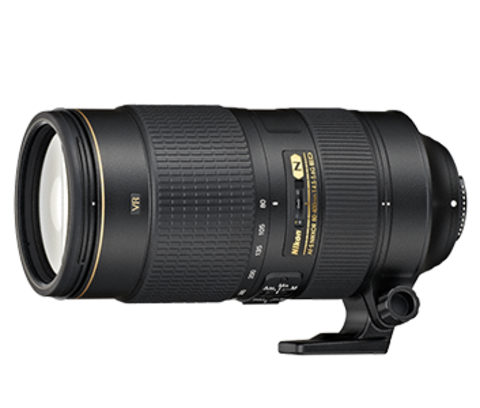 80 mm focal length: f/4.5 - 32 400 mm focal length: f/5.6 - 40 The minimum aperture displayed may vary depending on the size of the exposure increment selected with the camera.